Dr. Mohamed Youssef was born and raised in Egypt where he finished his studies in Dentistry at Alexandria University. There he received several scholarships for academic and clinical distinction and graduated with an Honours Degree. After graduation, Dr. Youssef completed one year of advanced training in general dentistry. During his first four years of private practice as a dentist, he completed advanced courses in the fields of implant dentistry, periodontal surgery and endodontics. He also completed training in the field of oral and maxillofacial surgery. After arriving to Montreal, Dr. Youssef worked for one year as a dental lab technician before beginning his studies at McGill University Faculty of Dentistry where he graduated on the Dean's Honour list in 2014. Dr. Youssef in currently a member of the ODQ, the ACDQ and recently received a fellowship in the Pierre Fauchard Academy which is an honorary organization recognizing outstanding dentists within their field. 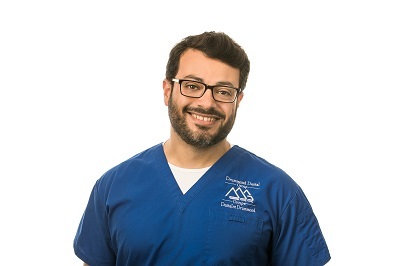 Dr. Youssef believes in conservative and preventive dentistry through comprehensive treatment delivered by our team at Drummond Dental Group. He is known to his patients as a compassionate dentist who takes time to discuss treatment options in order to achieve your best dental health. Dr. Youssef looks forward to meeting you, your family and friends.